We kick off 2015 with a guest who shares tremendous encouragement for expressing our creativity, and discovering what lights us up. Luisa Tanno is an instructor in many disciplines, including dance, yoga, and writing. I open this episode with some confession about my own vulnerability, and share some ideas that I’m using to incorporate my BODY in my journal writing. SPECIAL OFFER: In this episode, Luisa shares how to take advantage of several online workshops in creativity and personal expression. She has extended this “twofer” special offer especially for you. 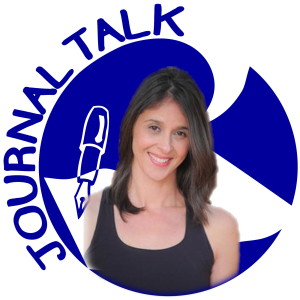 Mention “JournalTalk” when you register for ANY ONLINE WORKSHOP, and you can register your friend for FREE! What an excellent way to get even more from Luisa’s training! What an excellent way to start the year! 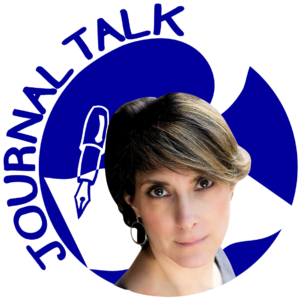 This entry was posted in Audio Podcast, JournalTalk and tagged creativity, journal podcast, journal-writing and movement, journaltalk, Luisa Tanno, writing through the body, yoga journaling on January 6, 2015 by Nathan Ohren.